While most of the trees are bare of leaves, there is still one tree along my walk on the river that is full of color. 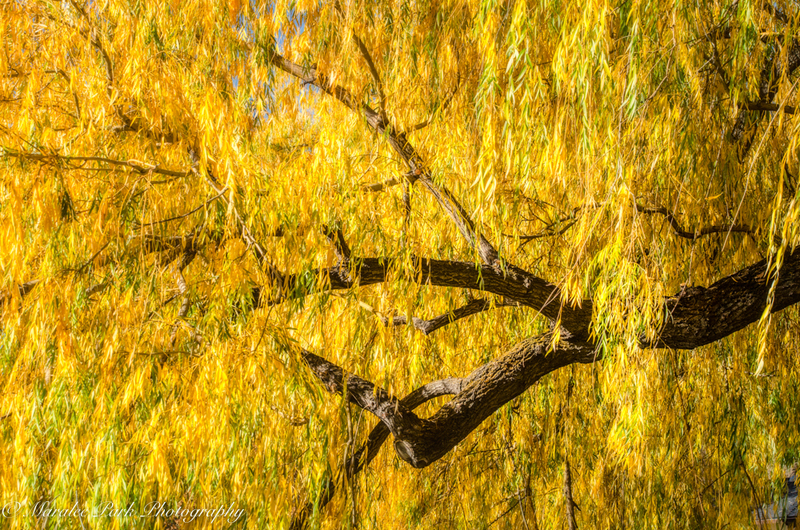 This weeping willow (I think that’s what it is) has been in full color for several weeks now. It’s like walking under sunshine when I pass beneath it. Glorious colors, Maralee. I love Weeping Willows.